It can be disastrous when your fridge breaks down….you need service as soon as possible before the food begins to spoil. Obviously in warmer weather this time frame to repair the fridge can be a lot shorter. Summer is a torturous time for fridges they are loaded up for Christmas parties, the children are in and out of them all day whilst they are on holidays and summer storms are usually the final straw for these overworked appliances. This does not mean that a fridge will not break down at other times of year it just means that more of them will break down in summer. Our company gives priority to fridge repairs as most people can last a day or two without a dishwasher or washing machine, but without a fridge life gets difficult real fast. 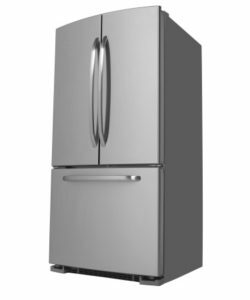 If it is not a refrigerator problem you can solve on your own we are here to help, call one of our friendly staff on (07) 5500 5744 to have them arrange a service call.